Every state in the U.S. has a different set of workers’ compensation laws. These laws give work injury victims a way to recover medical costs and lost wages. Among now practicing Idaho law firms, Skaug Law won the largest amount of money for a worker’ compensation injury recovery in state history. To get results, you should work with an experienced Nampa workers’ compensation attorney who knows Idaho work comp laws. Call our injury lawyers today to learn how we can help in your case. Even if you were treated and released at an emergency room, you should have a thorough exam by your doctor soon after the incident. Injuries can be hidden at first. Rotator cuff tears in the shoulders, spine injuries, and concussions are frequently missed in the emergency room. If injuries are not noted by a physician, it may be hard to recover compensation for them. In Idaho, there are time limits for reporting and filing work injury claims. You must report your injury to your employer within 60 days. Your employer must file a First Report of Injury with the Idaho Industrial Commission. This is the “court” system for workers’ compensation cases in Idaho. 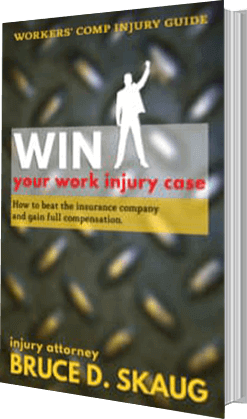 What Can You Get in Compensation After a Workplace Accident? Insurance companies and adjusters use many tactics to limit what they have to pay in workplace injury cases. Some use their own doctors to return injured people to full work duty too early, so the insurance company does not have to pay for more treatment. 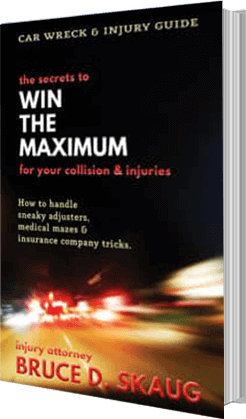 Whether you are dealing with a difficult employer, a tricky insurance company, or an at-fault third party, you can win maximum money for your injury. Do not give ANY recorded statements to an insurance representative or anyone else until you have had a free consultation with a Nampa workers’ compensation attorney. You are taking great risks if you move forward without professional help. Let a Skaug Law work comp attorney guide you through each step and find the available insurance sources to pay for your damages. An injury case may lead to a trial, but in the workers’ compensation system it is called a hearing. Unlike other trials, the hearing often does not lead to a decision right away. Instead, the referee may order additional sworn testimony by doctors and others. So, after your hearing, there may be other testimony still to be gathered before the referee makes a decision. Some law firms cherry-pick injury cases and settle them as quickly as possible. They recover less money but make money for themselves by turning over a high volume of cases. This high-volume/quick-settlement scheme does not give their clients the best results. You should also avoid ambulance chasers — the lawyers who show up in your hospital room or at your door, eager for you to hire them. Reputable lawyers do not show up uninvited. Established work comp lawyers in Nampa receive most of their clients from community reputation and word of mouth—friends telling friends. 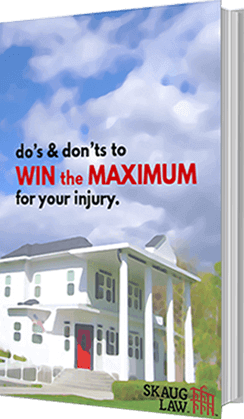 Quality attorneys are too busy winning cases to spend time cold-calling injury victims. Call our 24/7 legal intake specialist or click the chat window to speak with a member of our team today.